Immerse your audience in an abstract gold dipped world, this video loop will work just perfectly in your videos. An inspiring addition to your video library. 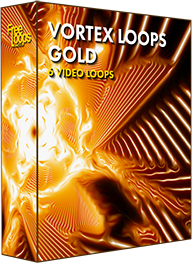 This video loop is part of Vortex Loops Gold.